Arsene Wenger refused to throw in the towel for the title race despite Arsenal slipping 19 points off the pace. A goalless draw at West Ham made it three games without a win for the misfiring Gunners and further dented their bid to finish in the top four. Chelsea boss Antonio Conte has already conceded his side, in third, cannot catch leaders Manchester City. 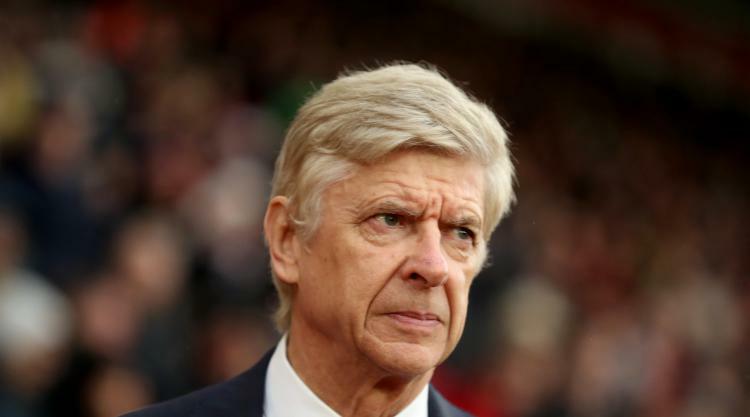 But Wenger, whose side lie seventh - below Burnley - said: "I don't want to talk about that. "It's good for headlines. City are too far away to talk about the title at the moment. "We don't give up. Our job is to fight as long as we can and give our best, not to focus on everything else. "I don't listen much to all that. You want to fight. Our job is to fight, to give everything and see where you finish. "City are City. We face the problem with City like everybody else in the league." It could have been worse for Wenger as Arsenal were inches from a damaging defeat after Hammers substitute Javier Hernandez hit the crossbar with a minute remaining. Arsenal were wasteful too, though, with Mesut Ozil and Jack Wilshere - making his first Premier League start of the season - squandering glorious chances in the second half. "Some draws are frustrating and this was one of them," added Wenger. "We had a lot of the ball. It was 10 against 10 in the final third. We couldn't find an opening. They defended very well. "It was a highly defensive phase, a focused phase. It works for them at the moment. They did it against City and Chelsea and tonight. "We lacked sharpness as well in the final third. We had quick opportunities where they blocked our shots. "That's where you see that they played on Saturday and we played on Sunday. They had more physical resources to defend decisively." By contrast a point was another step in the right direction for West Ham following Saturday's win over Chelsea. The hosts knew they would have to defend resolutely, as they had against the champions and during their narrow defeat by City. And Moyes has instilled a level of competency and organisation into a side who had at times descended into high farce under previous manager Slaven Bilic. "It was a really good organised, disciplined performance, which we needed," said Moyes. "if you hang in there, sometimes you get a chance to win it. "But it will gives us good confidence. If you had given us four points against Chelsea and Arsenal... and we were unlucky against City. "We were conceding too many goals, thankfully we have tightened up a bit and as long as we can keep it tight we will always be in the game."